You HAD to know these were coming!? I mean they were totally inevitable...right? you've got yourself two varieties of sinfully delicious grab n' go treats. It worked like a charm - they popped out perfectly after about 30 minutes of chilling in the refrigerator. Combine all ingredients, except chocolate chips in a bowl. Stir until it's smooth and creamy. Fill each cavity of the square mold with the peanut butter mixture - leaving space to top with chocolate later. Tap on the counter to help flatten out the peanut butter mixture in each cavity. 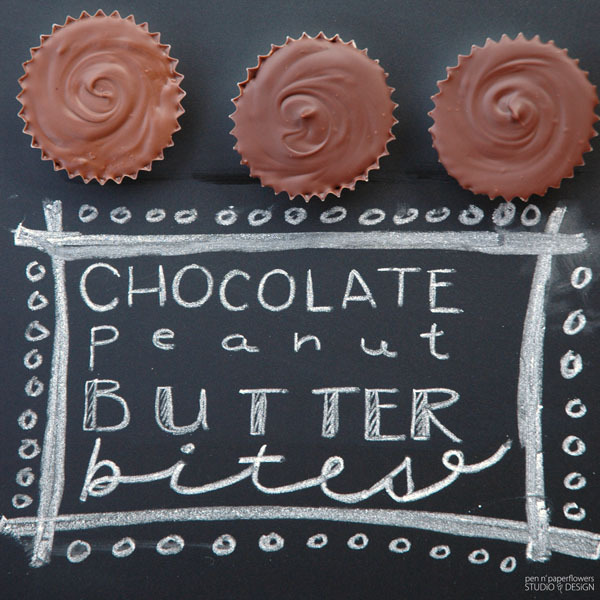 Refrigerate for 10 minutes - this keeps the chocolate you'll be adding from sinking into the peanut butter. Melt chocolate chips in double boiler on the stove - or microwave (at 50% power) for 1-2 minutes. Stir melted chocolate until smooth. Remove chilled peanut butter squares from refrigerator. Spoon chocolate onto the chilled peanut butter squares - filling cavity completely. Once all cavities have been topped with chocolate, tap square mold on the counter to create a nice smooth finish. Pop out each square and store in an airtight container. Place the Bite Sized Square Silicone Mold on a cookie sheet to make it super-easy to transport to and from the refrigerator as well as making the tapping process a piece of cake. 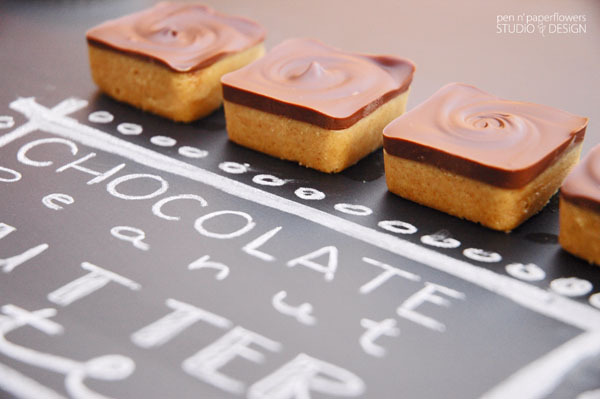 Arrange empty Mini Treat Cups on a cookie sheet. 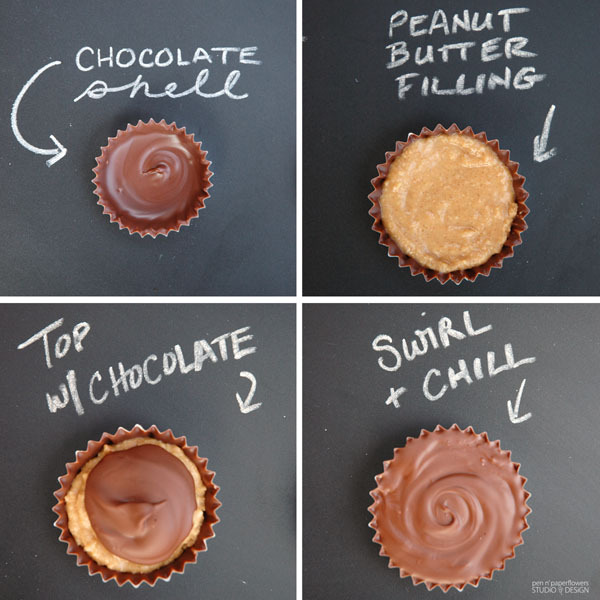 Add a spoonful of melted chocolate to mini treat cup. Once all mini treat cups have been filled with chocolate, refrigerate for 10 minutes. Combine all other ingredients in a bowl. Stir until the mixture is smooth and creamy. Remove chilled chocolate cups from refrigerator. Spoon peanut butter mixture into chocolate cups and smooth with back of spoon - leaving space for chocolate topping to be added later. 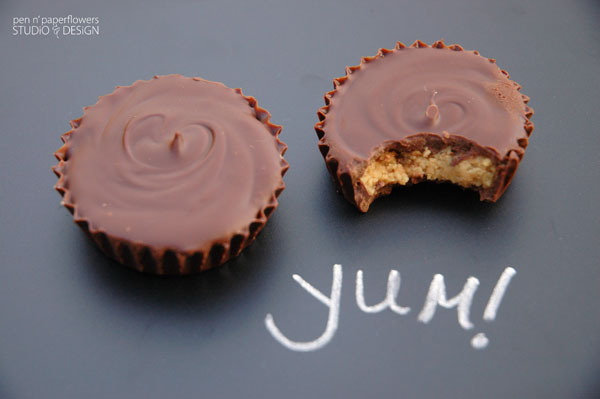 Remove chilled peanut butter cups from refrigerator and top with the remaining melted chocolate. Using the small paintbrush, swirl the chocolate topping to create a smooth, decorative finish. 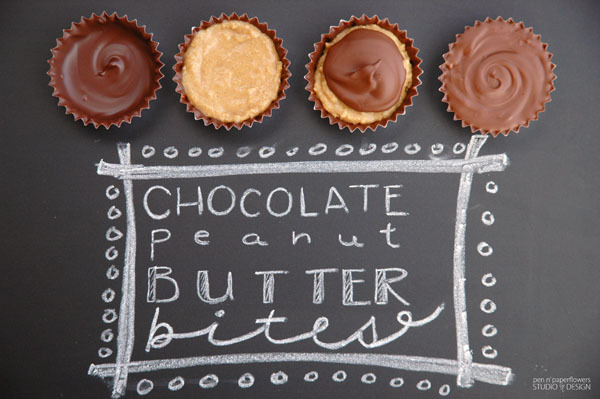 Place the mini treat cups on a cookie sheet to make it super-easy to transport to and from the refrigerator. – You will need an extra bag of chocolate chips to make the mini version. 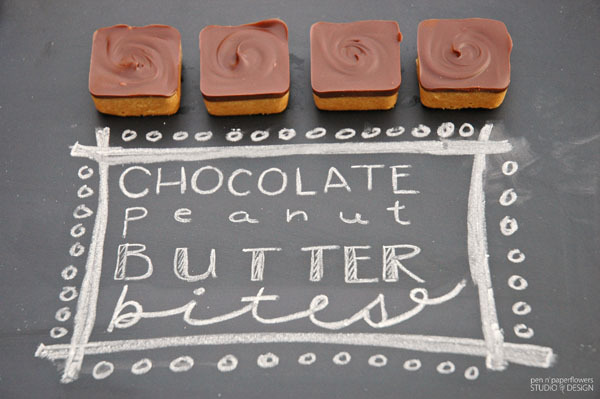 – When making the Squares, refrigerate peanut butter mixture before adding melted chocolate. 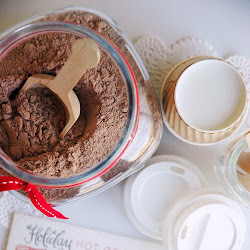 – Use semi-sweet chocolate instead of milk chocolate. I hope you'll try them. They are really simple and a bit addicting - so watch out! If you try them - let me know how yours come out. 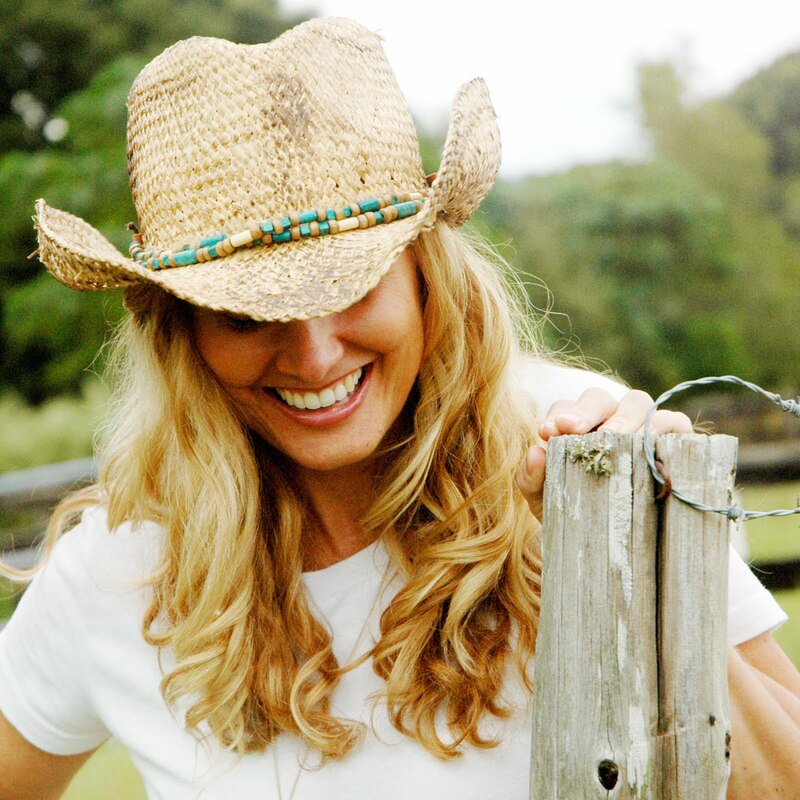 Have you clicked on the "Promise Me" page lately? there's a button in my menu bar at the top of my blog as well as another button on my side bar. If you haven't left a comment on the Promise Me page - do it today so you don't miss out notifications, updates and announcements! (getting ready to pick the monthly winner for February)!! My insistence on photographing things with natural light lead to some peculiar photo shoot settings sometimes. 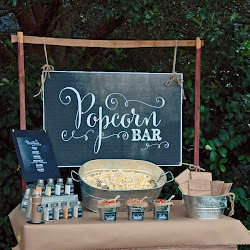 When I photographed these, I propped the chalkboard background I was using right on top of my hedges outside. Yep. I'm not even kidding. They happened to be the perfect height at the right time of day! When my house is too dark, I'll usually use my front porch or back porch. I've never used my bushes before though...so that was definitely extra peculiar. I'm certain my neighbors think I'm strange. I love the square cups! 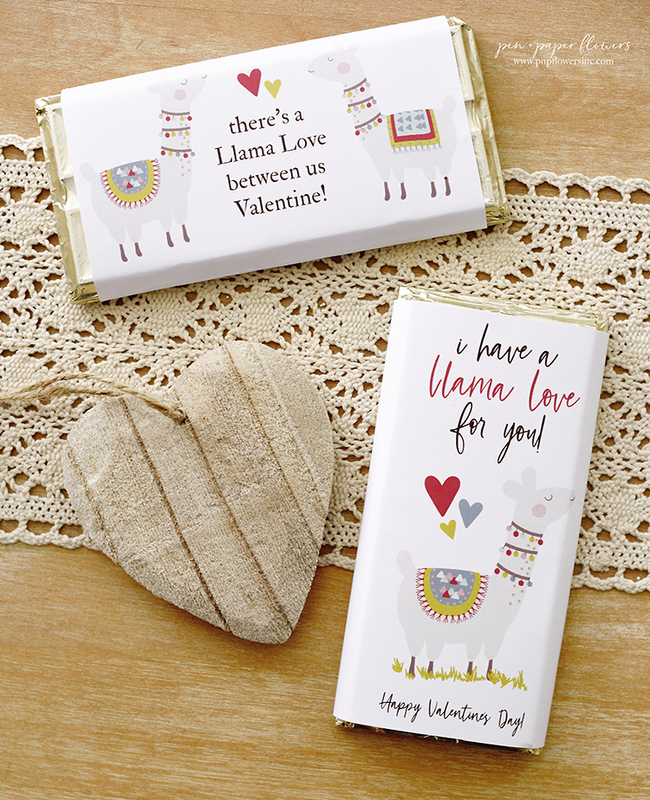 Aren't the square ones adorable Creative Printables? LOVED the simplicity of popping them out too!